2018 Honda Pilot Trim Levels with Comparisons & Configurations. What do you get with each? Find out below..
What 2018 Honda Pilot Trim Level Should you Buy? What is the Difference Between the Trims? When discussion turns to mid-size, three-row crossovers, it is inevitable that the Honda Pilot is near the top of the list. As one of the first crossover alternatives to the minivans that were popular among families at the time, it is one of the vehicles that set in motion the modern shift to crossover SUVs as family vehicles. Today the Honda Pilot is in its third generation, which debuted in 2016. It has mostly seen only minor changes since then, and its continued strong sales are a good indication that its formula for success has not gone stale in the meantime. The Honda Pilot trim levels vary from the relatively utilitarian base LX to the high-end Touring and Elite models that are crammed full of useful technology and comfort features. This guide will touch upon all of the key features of each trim level, making it easy for potential buyers to see what upgrading to each trim will get them. 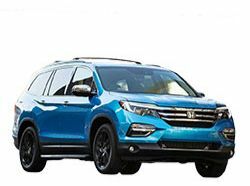 It will also introduce the available options and optional packages that are available for each model, making it that much easier to find the best Honda Pilot suited for your needs. Compare the 2018 Pilot LX vs EX Trims. What is the difference? As the basic model of the Honda Pilot, the LX is not a particularly complicated trim level. It has all of the essentials that one would want in a family car, but not much beyond that. Power locks and windows, cruise control, air conditioning, and a standard radio head unit with a 5-inch color display are all standard. The sound system comes with seven speakers and supports Bluetooth for calls and music streaming, as well as having both auxiliary and USB ports for directly connecting music players. A nice touch is the standard multi-view rearview camera, which shows the area behind the Pilot from three different angles when in reverse. Outside of the optional all-wheel drive, the LX has no other major options. The EX features a few more modern upgrades, and is aimed at drivers looking for more modern connectivity and safety equipment. It comes with an upgraded 8-inch touchscreen infotainment system that supports smartphone apps through Apple CarPlay and Android Auto, as well as native Pandora internet radio support and satellite radio connectivity. The upgraded system gets rid of all of the knobs and the buttons of the LX infotainment system though, which can take a little getting used to. Other added features on the EX are the Honda LaneWatch camera, which shows the car’s blind spot whenever you start signaling for a turn, a smart key with remote start, power driver’s seat, and a three-zone automatic climate control. Optional on the EX is the Honda Sensing safety suite. It includes an adaptive cruise control, road departure mitigation, lane keep assist, and collision mitigation braking. The two big decisions that determine whether the LX or the EX is a better choice are whether you are looking for advanced infotainment features and advanced safety features. If you would like your Pilot to have either or both, the EX is the model to have. If you do not feel strongly about either, than you can take the savings by going with the LX. However, with many manufacturers starting to offer both advanced infotainment with smartphone connectivity and active safety equipment as standard features, it is likely that most buyers will find the EX to be the better choice in the long term. That applies especially to the active safety suite, some feature of which are likely to become legally required or at least an industry standard in the future. If you’ve already selected the EX, adding the Honda Sensing package is an obvious choice. Compare the 2018 Honda Pilot EX vs EX-L Trim Levels. What is the difference? The EX-L model builds on the EX with a number of upscale comfort and convenience options. As the “L” in its name would indicate, this model comes standard with leather seating. The front seats are also heated and the front passenger gets power seat adjustments in addition to the driver. The EX-L also comes with a moonroof and a power liftgate. A nice convenience is also the one-touch folding function for the second row, making it easier to fold them down to get something big into the car. Among the options for the EX-L trim level is the Honda Sensing suite also found on the EX, as well as a navigation system and a rear-seat entertainment system. The leather, the convenience features, and the larger selection of available packages all make the EX-L a very flexible choice when it comes to selecting a Pilot. Many of the standard and optional features on the EX-L are commonly looked for by families buying mid-size crossovers, and the ability to select among them and pick only the ones you like is a great advantage. For most buyers, the EX-L is a good starting point when choosing their preferred Pilot trim, only moving down or up the trim levels if there is too much unnecessary equipment or something key is missing. Compare the Pilot EX-L vs Touring Trims. What is the difference? The Honda Pilot Touring is basically a premium version of the EX-L. It includes all of the optional EX-L packages as standard equipment, which means that it comes pre-loaded with all of the nice Honda Sensing safety equipment, the rear seat entertainment system, and the built-in navigation. It also comes with a number of its own features, including additional interior lighting, a memory function for the driver’s seat, 20-inch wheels, and an engine start-stop function. It also comes with a more responsive nine-speed automatic transmission instead of the six-speed of the lower models. Aside from the choice of front-wheel and all-wheel drive, no option packages are available to customize the Touring. While the Touring offers a number of small incremental improvements over the EX-L, most of the major equipment it adds comes from the EX-L optional packages. For buyers who have no use for some of those features, such as the rear-seat entertainment system for example, the Touring does not offer as much utility for the money that a more specialized EX-L build would. That said, the start-stop system and the better transmission do slightly improve the mileage of the Pilot, and it feels slightly more responsive when accelerating as well. If those factors seem sufficiently appealing, then the Touring is worth the small premium over a fully-equipped EX-L. Compare the Pilot Touring vs Elite Trim Levels. What is the difference? With a name like Elite, one would expect the top trim level of the Pilot to come with some pretty exclusive extras, and true to form it offers several nice upgrades not available on the other models. It is the only model with second row captain’s chairs instead of bench seats, so it seats one less person. However, those seats are heated and all three rows are covered by upscale perforated leather. The front seats also have a cooling function in addition to heating. Apart from the seating, the Elite also includes LED headlights with automatic high beams, a panoramic moonroof, heated steering wheel, and HD radio. It also replaces the LaneWatch camera in favor of a radar-based Blind Spot Information System that also comes with a rear cross traffic alert. Despite being a quite pricey model, the high-end Elite comes with a good selection of unique features that can be quite desirable. The blind spot monitors in particular are must-have equipment for many buyers, which the LaneWatch camera doesn’t quite match up to. The second row captain’s chairs are also more widely available among the Pilot’s competitors, and are often a key feature for many drivers who are used to them. The fact that the Pilot combines those features with a lot of other upscale options mitigates this somewhat however, with the Elite making for an overall strong option assuming it falls within your budget. 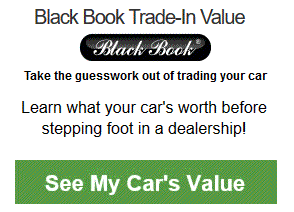 Which Trim Level to Choose? The trim setup for the 2018 Honda Pilot is a little different from many other mid-size crossovers, which can be slightly confusing, but can also offer some great opportunities for customization. Some of the more common features are only found on high-end Pilot models, while usually limited ones see wider availability. With this in mind, many drivers will find that the EX-L model of the Pilot strikes a great balance between those extremes. It offers many of the key features as either standard equipment or options, making it easy to tailor it to your requirements. Similarly, the high-end Elite can also be a good buy thanks to its comprehensive collection of features. The EX model with the Honda Sensing package is a great high-value option at the lower end of the Pilot price range as well. While there are many ways to put together a 2018 Honda Pilot that could suit your needs, those are some of our top choices for best value, and can be a good jumping off point for making a Pilot that is truly your own. 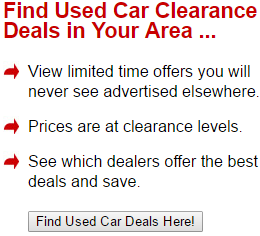 Find New Car Clearance Prices - Many Vehicles are Selling Below Dealer Invoice Prices. 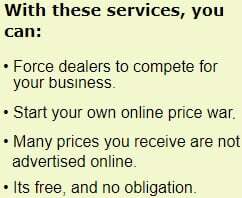 Every dealer offers a secret price. Many prices are below invoice. Find yours here.